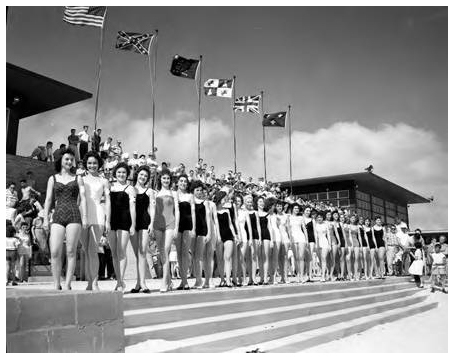 Women line up in a beauty contest on Dauphin Island. of South Alabama. Photographer, unknown. the Casino was not constructed until the late 1950's.